We supply a wide range of Oil Flow Valve.Used for air, gas and oil proportioning control, the MICRO-RATIO Oil and Gas Valve assemblies have a multiple screw cam assembly. 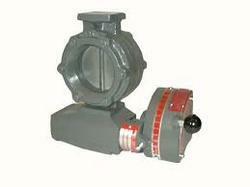 This oil flow valve's assembly provides mechanical adjustment capabilities to the air/fuel ratio at each valve position throughout the entire capacity range of your burner system. This gas valve provides a fully adjustable throttling range and is designed to operate over the extremely wide turn down capabilities of Maxon's modern industrial burner systems. We are offering a wide range of Oil Flow Control Valve.Used for air, gas and oil proportioning control, the MICRO-RATIO Oil and Gas Valve assemblies have a multiple screw cam assembly. 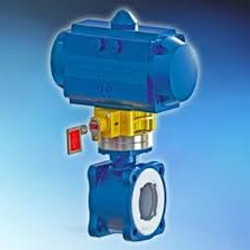 This oil flow valve's assembly provides mechanical adjustment capabilities to the air/fuel ratio at each valve position throughout the entire capacity range of your burner system. This gas valve provides a fully adjustable throttling range and is designed to operate over the extremely wide turn down capabilities of Maxon's modern industrial burner systems.